The growth of lacrosse across the country has been well-documented and in this area new youth and high school programs are popping up seemingly every year to meet the demand for the sport. But lacrosse is not only an American phenomenon. In July 2018, the Federation of International Lacrosse (FIL) will hold its men’s lacrosse world championships and it has been announced that the tournament will feature players from more than 50 countries, jumping up from 38 in the 2014 championships. The girls’ game is growing at a similar rate around the world and one Hockomock athlete spent her winter break helping to spread lacrosse to a new audience. 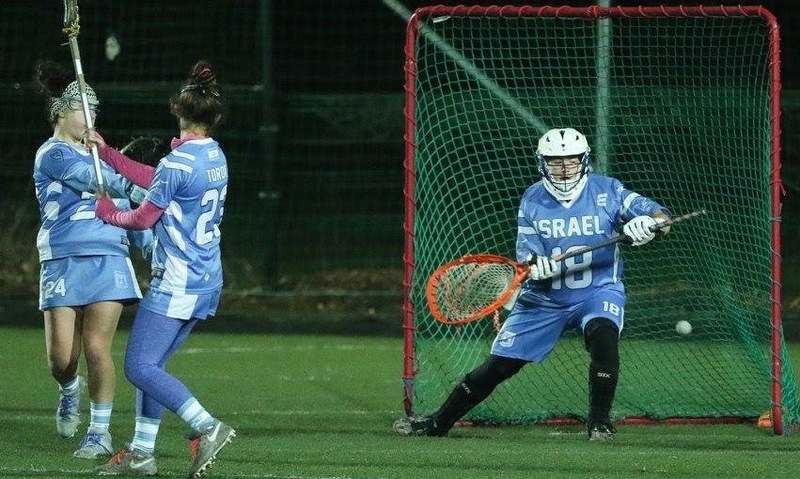 Oliver Ames senior Ariana Waldorf was invited to travel to Israel this winter to spend a week in Netanya, about an hour north of Jerusalem, teaching lacrosse to young students in the city and surrounding area and also getting to represent Israel on the world stage. It was the experience of a lifetime for the Tigers goalie. “It meant a lot to share something that we see everyday in our lives with kids who literally had no idea what we were talking about,” said Waldorf in an interview after her return from Europe. “Most of the people we talked to had never heard of lacrosse in their lives, but we were able to interact with people and talk to little kids about how to hold a stick and how to play the game that I’ve played forever,” she continued. Waldorf, who plays club lacrosse for Laxachusetts in addition to playing for OA, was invited on the trip by a friend whose father has helped coach the Israeli youth international team in the past. She was spotted during an Intercollegiate Womens Lacrosse Coaches Association (IWLCA) showcase tournament in Florida and asked to join the program. Thanks to her Jewish heritage, Waldorf is eligible to play for Israel, which recruits heavily in the U.S. because the local lacrosse culture is still relatively new. When she got a call this summer to see if she was still interested, Waldorf jumped at the opportunity. She was the lone girl from Massachusetts to make the trip, but Waldorf said there were boys from Plymouth and Andover that were also part of the program. The players joined together in Netanya and started to teach the game to kids who had never picked up a stick. Waldorf could relate to the excitement and energy of the new players, as she only started playing lacrosse in fifth or sixth grade when Easton created its first youth program. The trip was not just about youth clinics. The players were taken to Netanya Stadium, which will be the host stadium for this summer’s FIL world championships, and brought to the locker rooms. In each of the lockers, arrayed in each of the lockers as though they were professional players, were their new Israel uniforms. “There’s a video of us all running in and the looks on our faces…it’s just an absolutely unforgettable moment,” said Waldorf, who is hoping to go back next winter and take part in tryouts for the official Israel U-19 team. Waldorf played one half of the game against Poland, which Israel won 15-6. The second game was against the European All-Stars and Israel lost by one in overtime. While Hockomock lacrosse games may draw bigger crowds at the moment, Waldorf enjoyed the atmosphere of camaraderie between all the teams taking part and the chance to share lax experiences with players from around the world. While she is in the middle of the season for the OA ski team, Waldorf is already thinking about spring and getting to play lacrosse again. Now, she has an even better appreciation for the sport and more motivation to get back on the field. Today’s games are listed below. We will update with postponements as we receive them. Attleboro, 1 @ Bishop Feehan, 5 – Final – Junior Matt Callahan gave up three runs on five hits over four innings in his first varsity start. The Bombardiers managed only five hits, two of them by John Burns. Jon Dunn scored the lone Attleboro run on a fielder’s choice by Brendan Galvao. Franklin, 4 @ Oliver Ames, 2 – Final – Sophomore Jake Noviello struck out six in six innings of work, scattering five hits to get the win. 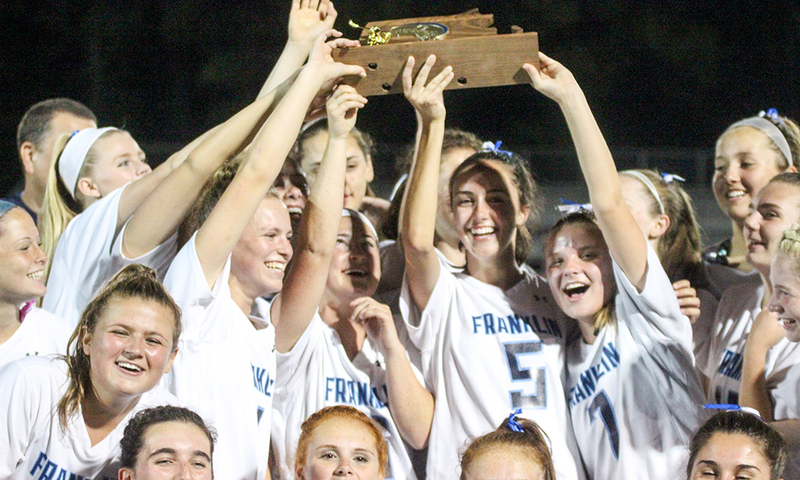 Matt Foley, Ryan Hodgkins, Joe Corsi and Tyler Gomes each knocked in a run for Franklin. Oliver Ames’ Josh Minuskin was 2/3 with an RBI and a run scored and sophomore Matt Muir had a pair of hits and reached base three times total. Taunton, 12 vs. New Bedford, 0 – Final (6 inn.) – Aimee Kistner tossed a no hitter, fanning nine batters and issuing just one walk. At the plate, Kistner was 2/2 with a double and a pair of RBI, Kya Enos was 3/4 with two RBI, Jordan Wade was 2/2 with a double and two RBI and Liana Duarte was 2/4 with a triple and two RBI. Oliver Ames, 10 @ Whitman-Hanson, 9 – Final – Ariana Waldorf shined in goal with 14 saves for the Tigers as OA held off a late push from Whitman-Hanson. 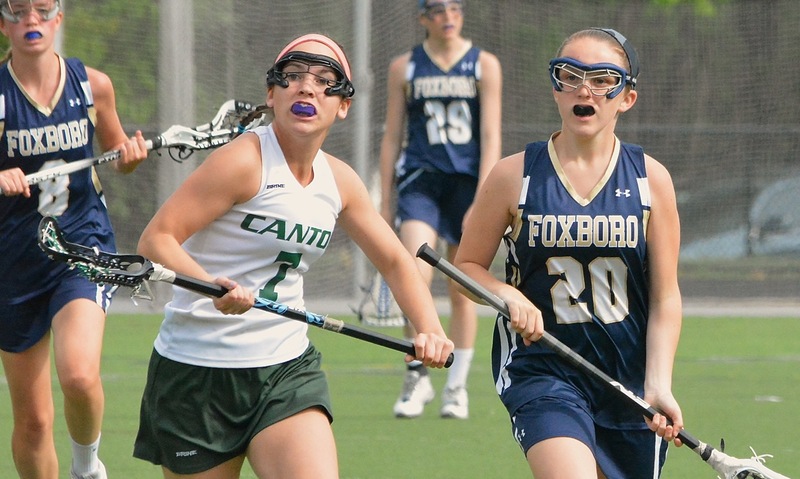 Abby Duvall and Sam Lang each scored three goals, Sofia Masciarelli scored twice and Carly Cidado had three assists. Erin Fitzgerald had a goal and an assist while Hannah Friend had one goal and Kendall Clifford had an assist. Head coach Craig Gardner credited Cidado, Sarah Lewis, Cassie Gavin, Katie Davenport and Olivia Piazza with strong defensive games.